Don't lie, you know exactly which episode I'm talking about- well, at least fans of The Office know. 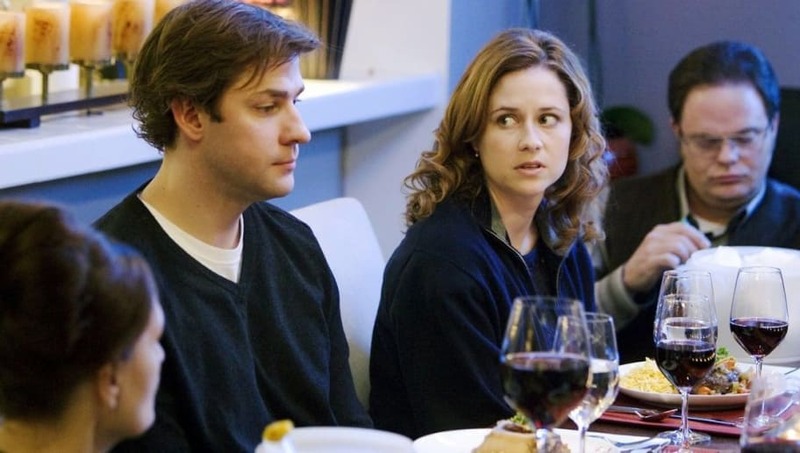 The thirteenth episode of Season 4, "Dinner Party" gave us a very rare view of fan-favorite characters outside of work. Needless to say, on its 10-year anniversary, the cast and writers came together to talk about the episode and reminisce about filming and other behind-the-scenes details. ​​Turns out though, everyone loved the episode as much as fans did. "It started off very slow. Not a lot of laughs. Little by little, it just starts building, and I never experienced that before," co-writer Gene Stupnitsky explained while talking about the table read. "The laughs kept getting bigger and bigger and bigger and bigger. I remember I was just sweating through my T-shirt. It was the greatest feeling I've ever had." As for the cast, John Krasinski explained it was hard to film because the cast knew what was going to happen and that, "As soon as you walk into that set, you knew why it was funny and how it was going to keep getting funnier." Jenna Fisher recalls the moment that nearly delayed the whole episode (honestly, I can see why) because they couldn't stop laughing (a moment that was shown in the blooper real of Season 4). "It probably took the longest of any of the other scenes, because we had to literally take a break and walk away to stop laughing," Jenna Fisher said, referring to the moment where Michael proudly shows off his (tiny) plasma TV. This episode is so awkward, so funny, and just so relatable at points, it's very hard to not lose yourself laughing as you watch.